CHARLOTTE, N.C. -- Emmanuel Mudiay dug his shoulder in, turned and floated a jumper with 27.2 seconds left. The problem? Zone defense and turnovers -- 16 of them. 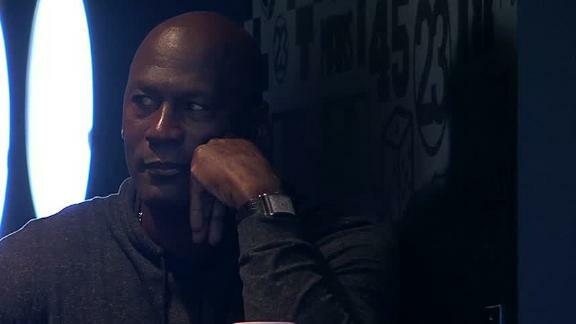 Michael Jordan is seen in the luxury box unpleased as the Hornets trail the Knicks in overtime.